If you like Italian food, Liguria offers some of the best. 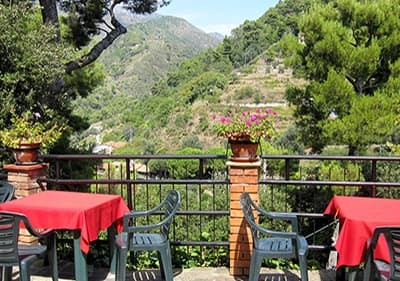 Whether you prefer the comfortable atmosphere of small, family restaurant featuring homemade fare, or the five star service of a top rated establishment, you’re guaranteed to find authentic Ligurian cuisine wherever you go. There are homemade specialties in the cozy restaurants of the small mountain villages. Get pampered by the gentle Ligurian cuisine, enjoy deep fried vegetables, pesto, fish and game dishes, and delicious endless appetizer plates and off course sweet desserts without remorse. Many simple dishes of the past have now become specialties. The Ligurian cuisine is often referred to as rural or even "poor kitchen", as the Ligurians, due to the geographical situation of the country with mountains and ocean conjure tasty dishes with olive oil from simple, available ingredients such as Fish, legumes and vegetables. This cuisine is very digestible and many dishes are combined with the products of extensive forests like, mushrooms, chestnuts, pine nuts, wild boar and wild herbs. A bar offers mostly appetizers and drinks, a Vinerian wine and delicious snacks, you get pizza in the pizzeria, salads and mostly desserts, the Paninoteca sells hot sandwiches, pizza and focaccia, the Osteria was formerly a pub like the Bavarian beer garden, presently one gets simple dishes, you get simple local food at reasonable prices in the Trattoria, usually consisting of four courses and often only on notification but with individual opening hours. A restaurant offers full menu selection from the antipasti to the digestive, usually a good homemade lemon liqueur, the "Limoncello". The Spaghetteria only has pasta on the menu and in the Rosticceria you get barbecue with small side dishes from street vendors for your picnic. Many farmhouses and wineries organize tastings in order to praise their products during a mea. Big groups or families can book an evening in advance and pay for a fixed menu on an agreed price. Good food does not have to be expensive. It is not necessary to visit a restaurant if you want to taste the delicacies of Ligurian cuisine since it can be found anywhere at village festivals throughout Liguria on weekends, where you get to eat local specialties for example, Baccala , gnocchi , Trombette, Fiori di Zuccha, Frisceu, Cima and more with an accompaniment of great music and dance. The" Notte Bianca" where all the shops are opened till late in the night is also well known. This is where Agriturismo sell their homemade products at market stalls. One gets great cheese, meat products, salami, pickled or dried vegetables and mushrooms, salt cod and lots of fresh goods from the weekly morning held markets. 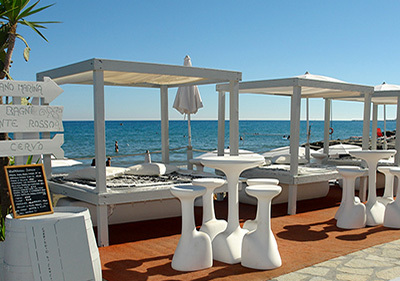 Beach bar: hot meals at lunchtime and pizzeria in the evening; baby club twice weekly. Games, drawing etc. and pingpong & kicker available. 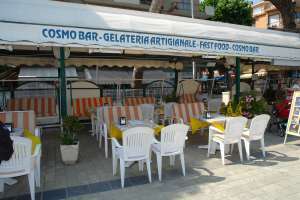 bar, fish, pizza, meat, pasta, children welcome, handicapped accessible, terrace, high chair, Beach bar: hot meals at lunchtime and pizzeria in the evening; baby club twice weekly. Games, drawing etc. and pingpong & kicker available. 10 a.m. - 2 p.m. / 5:30 p.m. - 11 p.m.
Pizzeria, pizza baked in a wood-fired oven, 10 a.m. - 2 p.m. / 5:30 p.m. - 11 p.m.
Appetizers and snacks, the sea in front of the castle, located near The Grande Italia Restaurant. lunch: 12:15 - 2:00 p.m dinner: 7:30 p.m - 9:00 p.m.
restaurant, German, English, meat, pasta, vegetarian dishes, sandwiches, terrace, lunch: 12:15 - 2:00 p.m dinner: 7:30 p.m - 9:00 p.m.
Don`t miss the breathtaking view over the mountain from the balkony, while you begin the day with a coffee and a brioche. bar, sandwiches, terrace, Don`t miss the breathtaking view over the mountain from the balkony, while you begin the day with a coffee and a brioche. Fish, pizza & Ligurian wine. Pizzeria, fish, pizza, terrace, parking space, Fish, pizza & Ligurian wine. 8:30 p.m. - 12 p.m.
12 a.m. - 3 p.m. / 7:30 p.m. - 11 p.m.
12 a.m. - 1 p.m. / 7:30 p.m. - 10:30 p.m.
restaurant, fish, vegetarian dishes, handicapped accessible, terrace, dogs allowed, parking space, 9 a.m. - 8 p.m.
restaurant, meat, pasta, vegetarian dishes, sandwiches, terrace, parking space, 7 a.m. -11 p.m.
Summer: 8 a.m. - 1 a.m.; Winter 8 a.m. - 11 a.m. Restaurant with fish specialities & American Bar with live music at the beach. bar, null, fish, terrace, Restaurant with fish specialities & American Bar with live music at the beach. Upmarket restaurant with typically Ligurian specialities. restaurant, English, fish, meat, terrace, air conditioning, parking space, Upmarket restaurant with typically Ligurian specialities. 12 a.m. - 2 p.m.; 7 p.m. - 9 p.m.
bar, meat, pasta, vegetarian dishes, wine list, children welcome, terrace, parking space, 12 a.m. - 2 p.m.; 7 p.m. - 9 p.m.
Lunchtime approx. 12 p.m., evenings approx. 8 p.m.
Closed on Saturdays, Sundays, Holidays and afternoons in November. Bar, cocktail bar and restaurant. 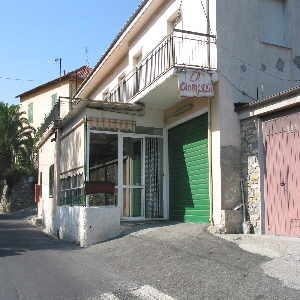 restaurant, English, fish, meat, home-made pasta, wine list, children welcome, terrace, Bar, cocktail bar and restaurant. 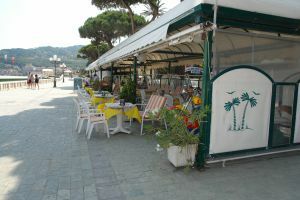 K2-Rocco and His Brothers is a nice restaurant located in the beautiful promenade of Rapallo, near the historic center and the ferry landing. 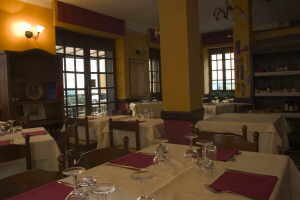 You will find there local specialities as pizzas, meat ans pastas, but especially delicious sea food. restaurant, null, fish, pizza, meat, children welcome, terrace, K2-Rocco and His Brothers is a nice restaurant located in the beautiful promenade of Rapallo, near the historic center and the ferry landing. You will find there local specialities as pizzas, meat ans pastas, but especially delicious sea food. 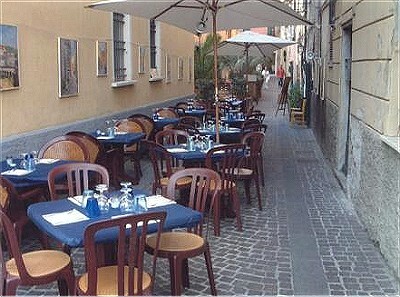 Small family restaurant with typical ligurian meals. 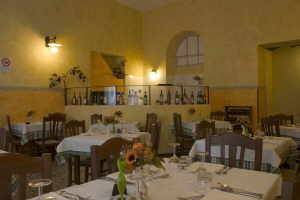 restaurant, fish, meat, home-made pasta, vegetarian dishes, wine list, children welcome, parking space, Small family restaurant with typical ligurian meals. Pass a lovely evening in a fine restaurant with a special atmosphere, provided by live jazz, and enjoy the typically Ligurian and Tuscanian cuisine. 12:30 p.m. - 2:15 p.m. / 7:30 p.m. - 11 p.m.
8 a.m. - 11 a.m., 8:15 p.m. - 9 p.m.
Closed on Mondays after 8 p.m.
restaurant, English, meat, home-made pasta, vegetarian dishes, terrace, parking space, Ristorante, Brasserie, piano bar. lunch from 12 a.m., dinner from 6 p.m.
Osteria, fish, meat, pasta, home-made pasta, wine list, lunch from 12 a.m., dinner from 6 p.m. If you are looking for a good price-quality relationship, don't hesitate to taste this delicious ligurian cuisine. restaurant, null, fish, pizza, meat, pasta, vegetarian dishes, children welcome, terrace, fixed menu, If you are looking for a good price-quality relationship, don't hesitate to taste this delicious ligurian cuisine. 12:30 p.m.-2 p.m.; 7:30 p.m. 9 p.m. 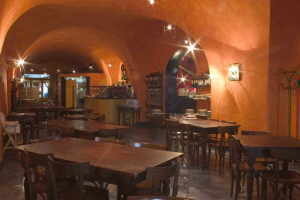 Very fine family restaurant offering traditional Ligurian food.